Nose: Chamomile and meadowsweet, accompanied by pine blossom, rose and strawberry. Delicate with a resinous quality. Palate: A divine and luxurious texture. The palate achieves a delightful balance between sweet spice and crisp, clean juniper that really sparkles in the glass. Finish: Black pepper and dark chocolate linger for minutes after sipping and are mixed with a light woodiness. 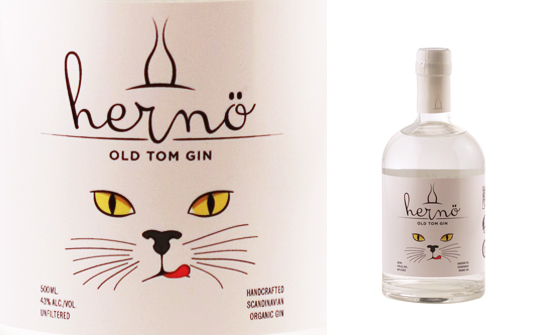 Comments: A textbook Old Tom and a great choice for a Tom Collins or a Sweet Martini. A must try! Nose: A wonderfully ginny hit of juniper with added sweet and floral notes. Fresh summer meadow flowers and citrus fruits with a little honey on the side. Palate: A thick, honeyed mouthfeel gives way to mint, fennel, liquorice, white chocolate and a big, zesty grapefruit bite. Finish: Smooth, slightly herbal with a lemony sharpness that cuts through the candied sweetness. Comments: Not too sweet and retaining the classic juniper-led gin aromas and flavours. Would go well in a Tom Collins.